“This gang” is here to wow and win with “Gang.” Let the wowing begin. 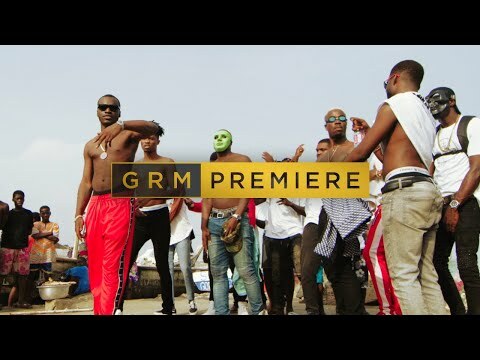 By the way, it is pointless worrying for this Sneakbo is not a sneak. He is a fine rapper and a reliable collaborator in the music market. Mr Eazi had featured him on “Chicken Curry” alongside Just Sul. Kwesi Arthur is one rapper who delights musically. The “Don’t Keep Me Waiting” crooner unleashed his boundless energy and creativity on this song. To those unfamiliar with his works, “Apaeyen (We’re Hungry),” “Porpi,” “African Girl,” featuring Shatta Wale, and “Live or Die” are part of Kwesi Arthur’s offerings so far. 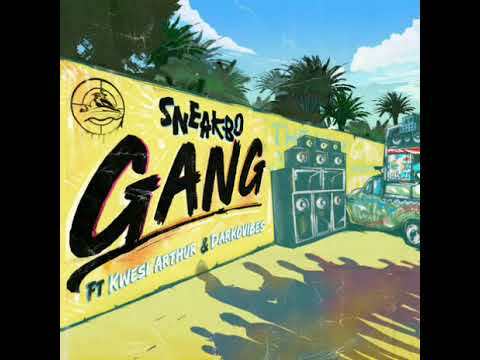 Darkovibes, one of Ghana’s better known recording artistes, is the mastermind of “Bo Noor,” “Bangers,” featuring Ayat, “Stay Woke,” featueing Stonebwoy, and “Obra,” featuring Mac M.
Simply stream and download “Sneakbo – Gang Ft. Kwesi Arthur & Darkovibes” below, share on social media and join the conversation by dropping your thoughts in the comment section.